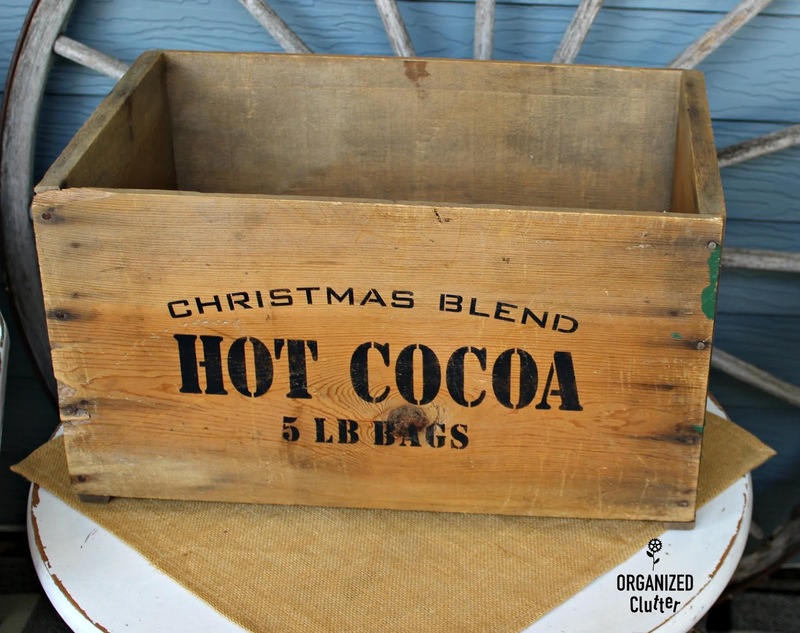 I found this old paint spattered wooden crate at a garage sale last weekend for $3. I guess, because it was spattered with a Christmas green paint, I decided to make it into Christmas decor! 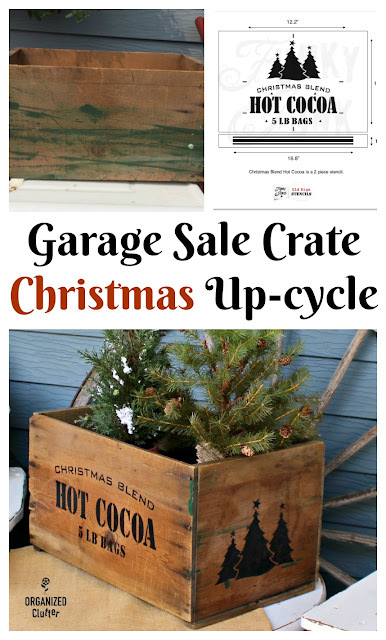 I know it's early, but this is one less project to do in November and December. I pulled out one of my *Old Sign Stencils Christmas stencils. 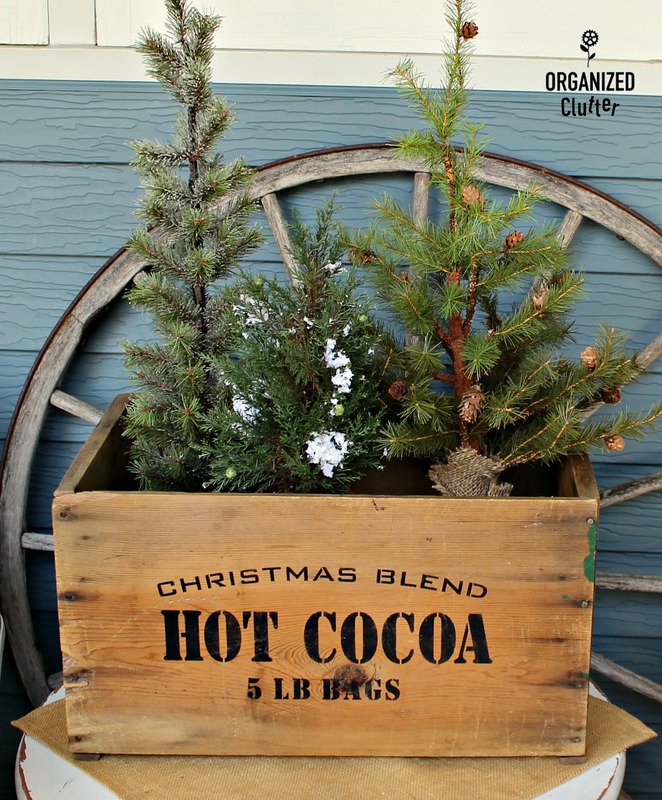 The Hot Cocoa stencil will be perfect on my crate. Even though I love junk, I don't like dirt and germs. I scrubbed my crate with a scrub brush and hot soapy water. Of course not all the marks come off, but most of the dirt does. I then pounced "Christmas Blend, Hot Cocoa, 5 LB Bags" on the front and back using Fusion Mineral Paint in Coal Black. 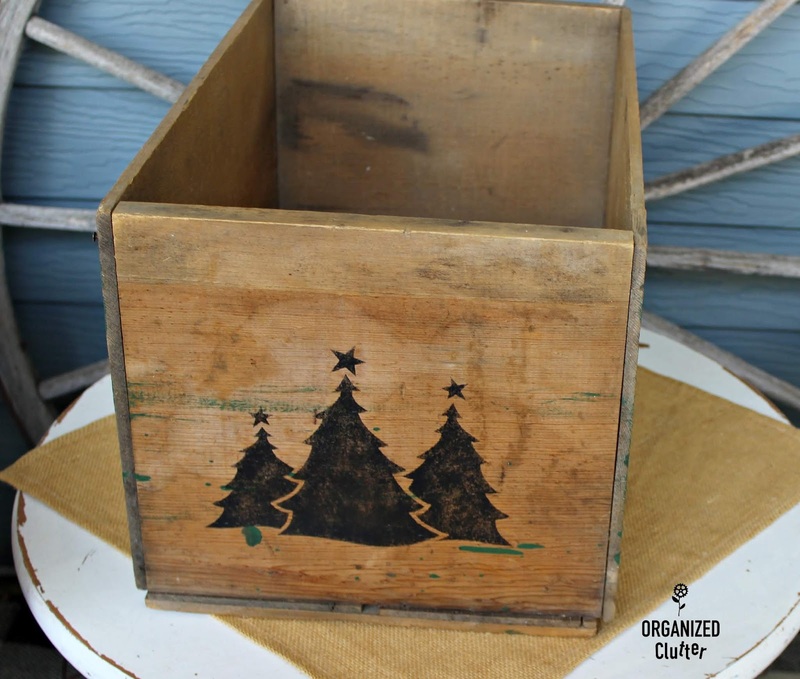 I love Fusion's Coal Black for stenciling on old wood, and I like to use Varathane Water Based Poleurethane in a Satin Finish to seal the stencils and darken the crate wood some. This side of my crate doesn't have the paint spatter. If I use it in my living room for my Christmas tree, I will probably use this side out. I stenciled both of the box ends with the three Christmas trees from the "Hot Cocoa" stencil. 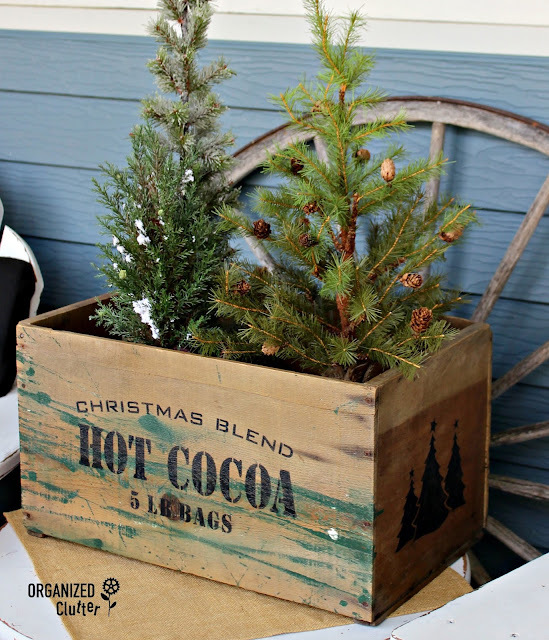 If I use my crate outside with my rustic Christmas covered patio junk decor, I will probably put the spattered side in front! 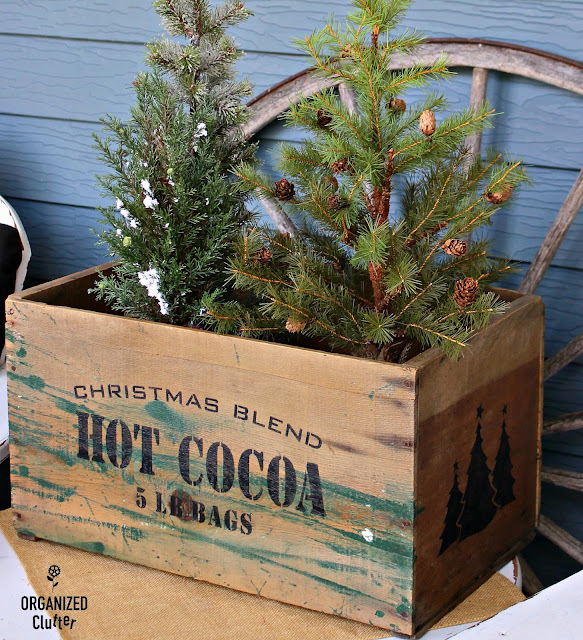 I grabbed a few of my little faux Christmas trees to fill my crate for the photos. 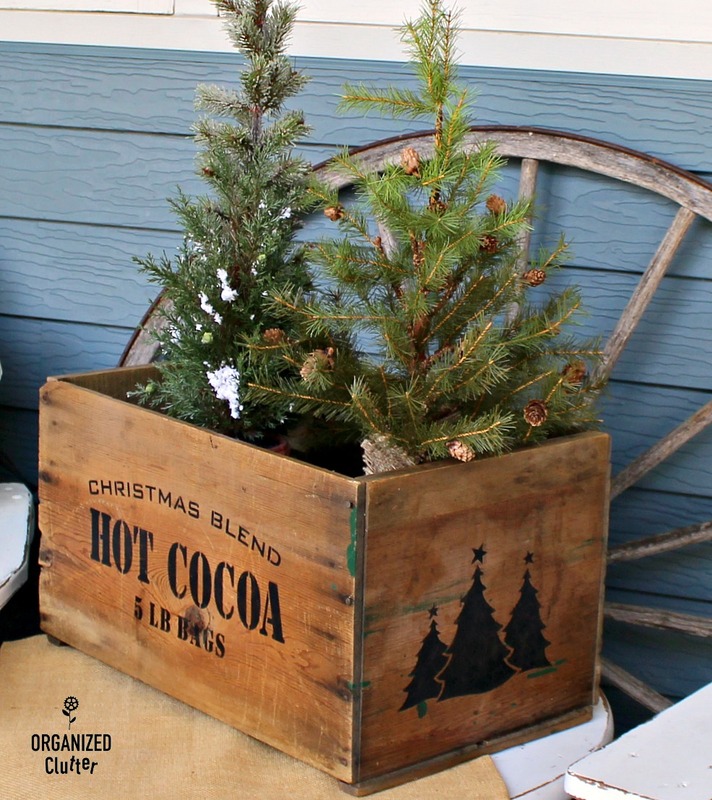 I will fill the crate with real spruce tree tops if I use it outdoors. Plain crates are pretty cheap compared to advertising crates. This stencil fits this crate perfectly in two parts. 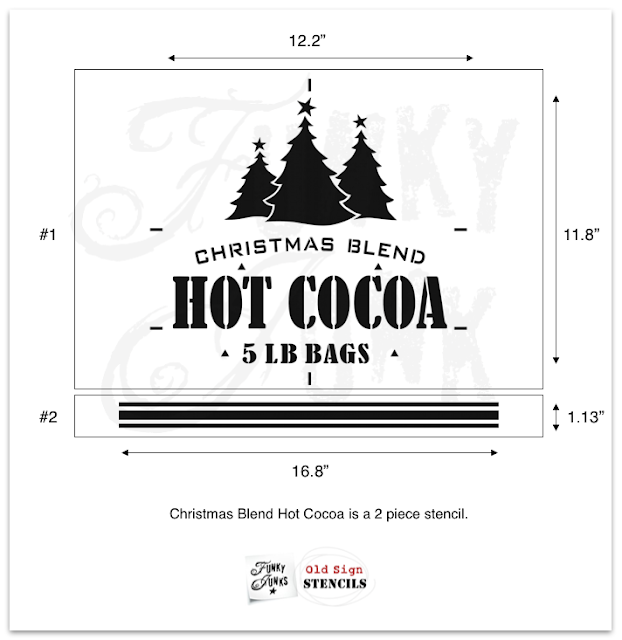 The full "Hot Cocoa" stencil is just the right size for pillows! This is so adorable! 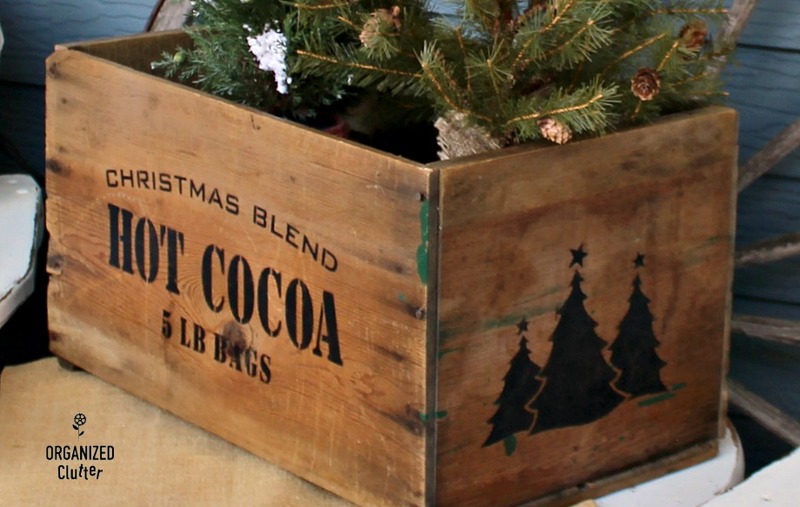 That image looks so great on a vintage crate! Thanks for the kick in the right direction on getting Christmas on the go... you are so on top of it! Shug is right, this is super cute Carlene! Way to go getting a jump on Christmas decorating. :) Wonderful crate for sure.